Strength, skating, and stick handling. Agility, vision, and nutrition. Everything to make you a better hockey player. It takes dedication to become a great hockey player. We know because our team members have worked with some of the NHL's biggest stars. Whatever your current skill level, our hockey experts deliver a comprehensive and individualized approach to improve every aspect of your game. It starts with a thorough assessment of your skills, as well as analysis of your physical condition, strengths and weaknesses. 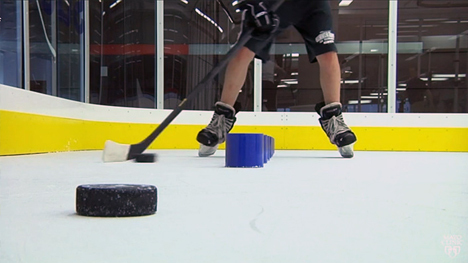 You’ll train in a premiere hockey facility, outfitted with state-of-the-art video analysis equipment, a Woodway skating treadmill, synthetic ice, and stick-handling and shooting-specific equipment. Contact us to learn more out about individual and group packages. 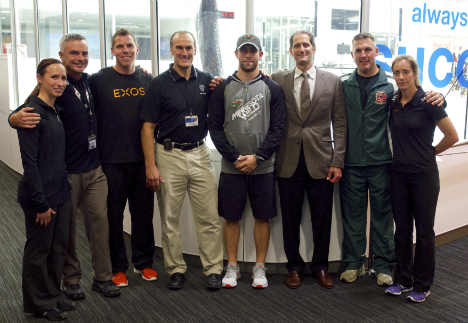 A photo taken at our Minnesota Wild hockey event with SMC hockey leads, EXOS, Dr. Michael Stuart, current Wild player Jason Zucker and former Wild player Wes Walz. Stay on top of your game this post-season. Sign-up for Mayo Clinic Sports Medicine's Spring Hockey Performance Training for youth and high school athletes. Learn more or call 507-266-9100. 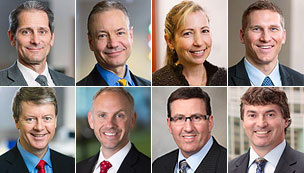 Mayo Clinic Sports Medicine hosted an interactive webinar featuring Michael Stuart, M.D., Chief Medical and Safety Officer for USA Hockey, with a panel of experts discussing the value of hockey training programs. Watch now. 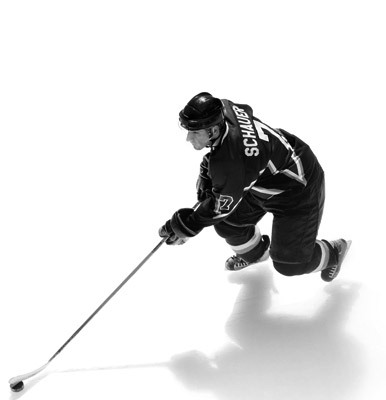 NHL players and local athletes alike are choosing us for their hockey training. To learn more about the payment for these programs and the associated cancellation policy.